Everyone knows a friend, or relative, who has three to five degrees, or is overburdened with student loan debts. Five years ago, I had a female friend who had gone to York University to study Environmental Sciences. Like all situations, she dropped out after three years, lost her apartment, and was couch surfing. After a year and a half of living on someone’s couch, she got into a bad argument with her roommate, she took her eight year old ESL certificate, took it to Berlin , where she lived in a hostel for two weeks. While at the hostel, she began her job search and found a position, teaching ESL in a private school. In no time, she had an apartment. How much did it cost for an apartment in Berlin? 100 Euros per month. When the Berlin Wall fell, the city remained the same and no greedy real estate investor inflated the costs of living, unlike Canada. After teaching ESL for a year, the school administrator asked her if she knew French. She knew very little French, but they took her on to teach Basic French. Remember, she had no university degree whatsoever. Such a situation would never happen in Toronto , the US, or the rest of Canada, or anywhere else. “What did you do before this?” asked the supervisor. “What else did you do?” quizzed the boss. “I lost my job as a film professor at York University,” came a response, “because they required film professors to have a Masters in Film, I just have a BA in film.” Nobody in Hollywood has a Masters in Film, nor a BA, but a select few. Very few have a degree at all. Some just work in the field for ten years, have no degree, and are considered an expert. These are two examples. If you, however, go to any major coffee house, you have a chance of being served by a middle aged server with a Master’s degree in any field. Throw a rock you will find them. In the fast food chains, Foreign born graduates from foreign schools will be found. So what is the point? What is the difference? My argument is very simple. A person should not be allowed to graduate from higher education unless they are proficient in five languages. A person without such credentials would not be employable in a real world economy. How do we do it? When a person is about to graduate, they must do a profanely test in at least two languages, maybe English and Spanish. 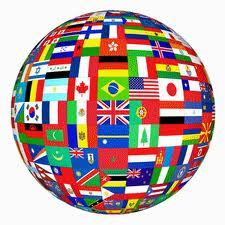 English is the language of money and the Spanish outnumber every other ethnic group in North America. Isn’t Brazil an emerging market, or a coming super power? That leaves three other languages. China, Japan, India, or Germany would follow. It would then be advisable for the graduates to have an ESL certificate, where they would go to the select country, teaches ESL, learn the countries language, and pass a proficiency test in its language. In the second year, they would go to another country, do the same thing, and complete the picture by going to another country in their third year of ESL. Such an initiative would give the next generation of graduates valuable international experience, language training, and a well-rounded worldview.